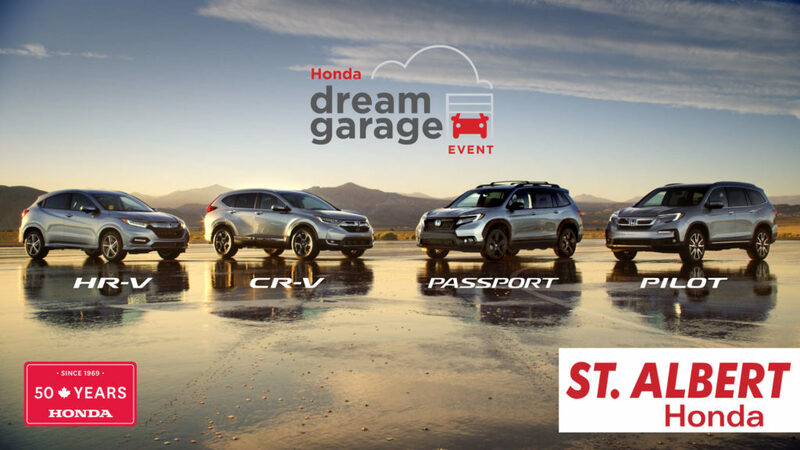 Come and see the exciting new Honda Passport now available at St. Albert Honda. Limited time lease offer from Honda Canada Finance Inc. (HCFI), On Approved Credit. Weekly lease offer applies to a new 2019 Civic Sedan SPORT CVT model FC2F8KJX, for a 48-month period, for a total of 208 payments of $78 leased at 0.99% APR. 80,000 kilometre allowance (12 cents/km excess charge applies). Total lease obligation is $16,124.44. Lease obligation includes freight and PDI of $1,655, Federal air conditioning charge, tire levy and other applicable fees except PPSA lien registration fee of $6.00 and lien registering agent’s fee of $6.50, which are both due at time of delivery. No down-payment required. Taxes, license, insurance and registration are extra. Dealer may lease for less. 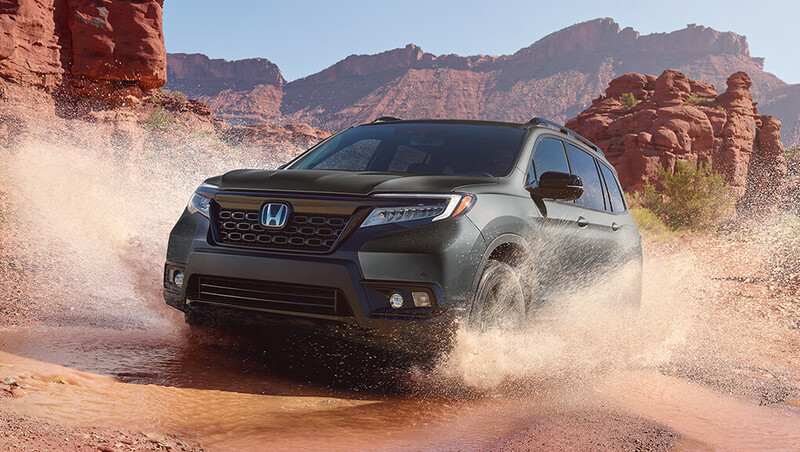 Offers valid from April 2, 2019 through April 30, 2019 at participating Honda retailers. Offers valid only for Alberta residents at Honda Dealers of Alberta locations. Offers subject to change or cancellation without prior notice. Offers only valid on new in-stock 2019 vehicles. While quantities last. Dealer order or trade may be necessary. AMVIC-licensed business. Visit Honda.ca or your Honda dealer for details. None of the features described are intended to replace the driver’s responsibility to exercise due care while driving. Drivers should not use handheld devices or operate certain vehicle features unless it is safe and legal to do so. Some features have technological limitations. For additional feature information, limitations and restrictions, please visit www.honda.ca/disclaimers or refer to the vehicle’s owner’s manual. Limited time lease offer from Honda Canada Finance Inc. (HCFI), On Approved Credit. Weekly lease offer applies to a new 2019 CR-V LX-AWD CVT, model RW2H2KES for a 24-month period, for a total of 104 payments of $126 leased at 0.99% APR. 40,000 kilometre allowance (12 cents/km excess charge applies). Total lease obligation is $13,108.94. Lease obligation includes freight and PDI of $1,795, Federal air conditioning charge, tire levy and other applicable fees except PPSA lien registration fee of $6.00 and lien registering agent’s fee of $6.50, which are both due at time of delivery. No down-payment required. Taxes, license, insurance and registration are extra. Dealer may lease for less. Offers valid from April 2, 2019 through April 30, 2019 at participating Honda retailers. 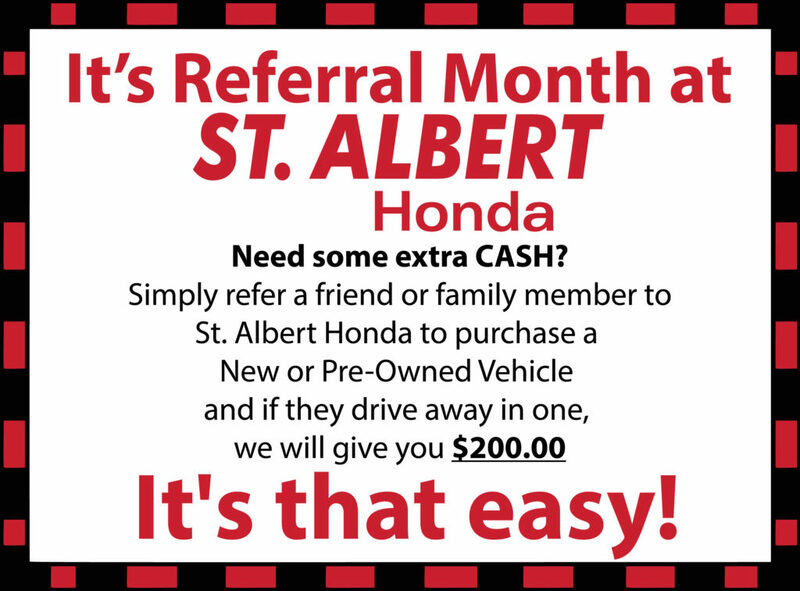 Offers valid only for Alberta residents at Honda Dealers of Alberta locations. Offers subject to change or cancellation without prior notice. Offers only valid on new in-stock 2019 vehicles. While quantities last. Dealer order or trade may be necessary. AMVIC-licensed business. Visit Honda.ca or your Honda dealer for details. None of the features described are intended to replace the driver’s responsibility to exercise due care while driving. Drivers should not use handheld devices or operate certain vehicle features unless it is safe and legal to do so. Some features have technological limitations. For additional feature information, limitations and restrictions, please visit www.honda.ca/disclaimers or refer to the vehicle’s owner’s manual.